Sewn faux suede fabric cover with an embroidered patch and deluxe rounded spine. Front cover frame to insert photo. 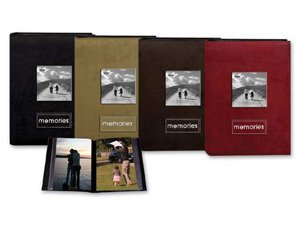 Holds 36 photos, 1 per page.